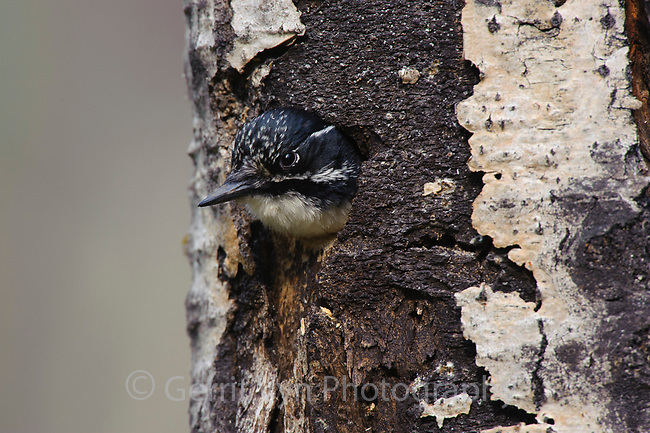 Adult female American Three-toed Woodpecker (Picoides dorsalis) peering from a nest cavity. Alberta, Canada. May.